Master Chief Tom Pescke, Quinton Simison and CDR Veon 'Matt' Dillon carry the banner. Tom Sugars, Rick Kazar and myself are behind them. 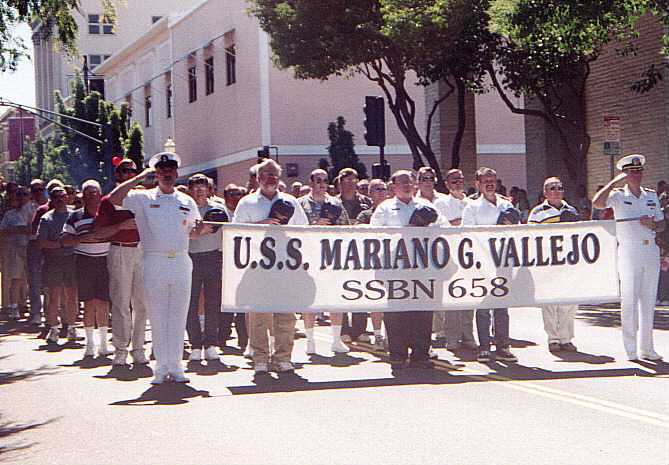 The banner was created and donated by shipmate Dennis Toner. Dennis made plans to attend the reunion but could not make it. Dennis Fed Exed the banner to us at the Holiday Inn. All the attendees were very grateful. 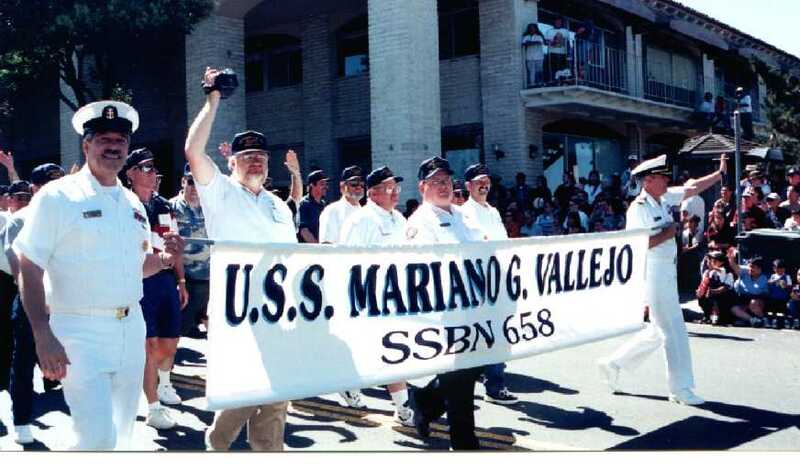 They called Dennis a true Vallejo shipmate. The chips were down but he still held fast to a promise. Dennis our hats off to you. All the guys walking proud. 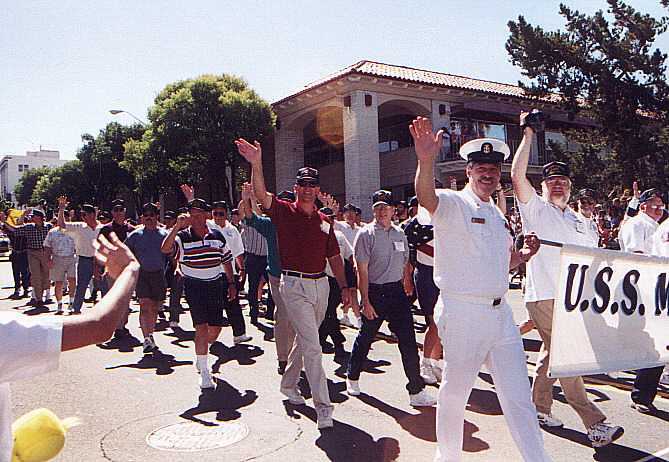 We received many salutes and applause during the parade. It was a very enjoyable experience. Yes that is you Andy Prescott. The bleachers that were reserved for our family members at the Grand Stand. Thanks a million Tricia Williams. When we arrived at the Grand Stand Chamber of Commerce director Tricia Williams introduced us. Colors were presented and the National Anthem was sang. After the first line our entire contingent joined in. It was a very moving moment for us. This is the plaque we had made for the dedication ceremony. 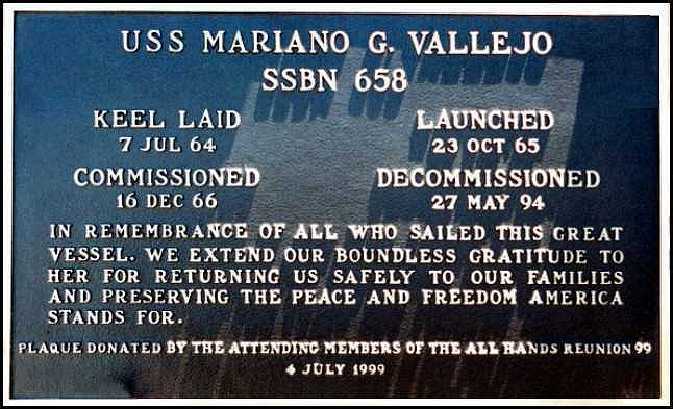 When the sail and other artifacts are put on permanent display, our plaque will be there. 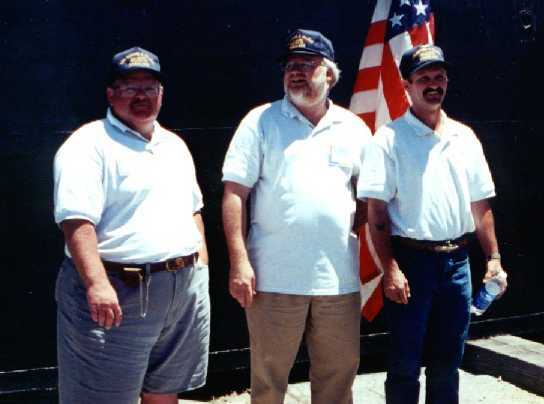 CAPT Jack Nunnelley, in the NAVY shirt, with the other plank owners following the plaque dedication. 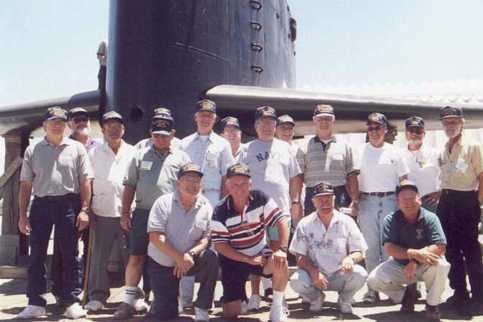 Reunion Attendees Muster at the Sail. 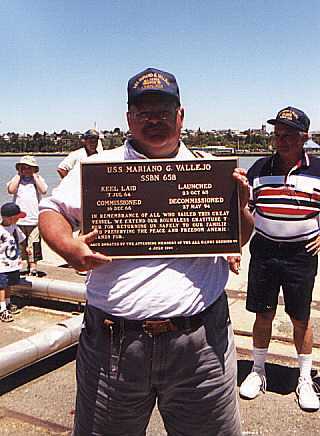 Richard Kazar proudly displays the plaque. 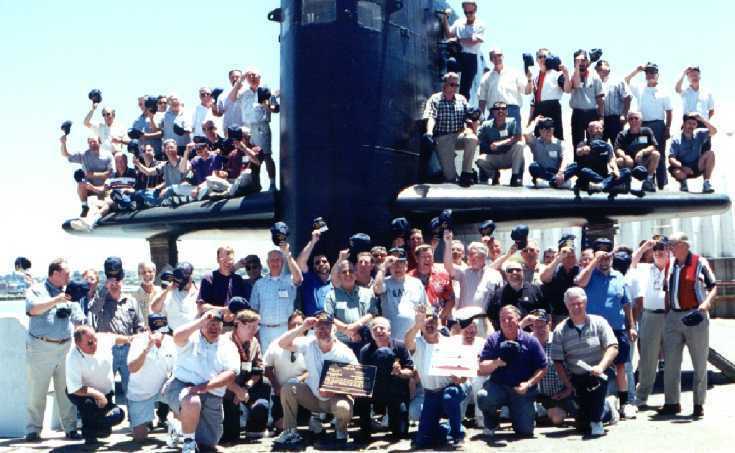 All Hands Reunion 99 Committee. L-R Rick Kazar, Tom Sugars, Jim Carter. Not pictured is Jim Tincup.